Ever wondered about Fender’s custom finishes – how they came about, and what they’re meant to represent? Throw it way back to the post-war era in 50s and 60s and you’ll find America’s obsession with the automobile at its peak. Beyond its interiors and functionalities, a car’s paint was really what turned the industry on its head – after the infamous Model T in which Henry Ford famously said “You can have any color as long as it’s black”, a consumer was now allowed to get personal with their car, and colour ranked highly as a way for buyers to express themselves and of course, be noticed. That trickled down to guitars, and Fender took full advantage. When a guitar was merely something you picked and played, a custom finish gave it it’s own identity. 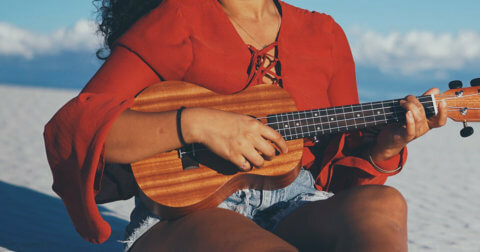 And along with that, it gave the instrument character and soul – attributes that shine through records and performances. 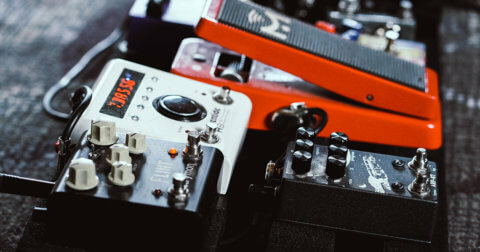 Colour and finishes weren’t the only aspects that inspired guitar personalisation – car names were also used with guitars. No surprises to which car and model inspired the Fender Mustang! A “custom” finish won’t necessarily mean a colorful finish, but instead is a non-standard finish on any given model. Here, we’re going to share with you 6 of Fender’s custom finishes to ogle at. 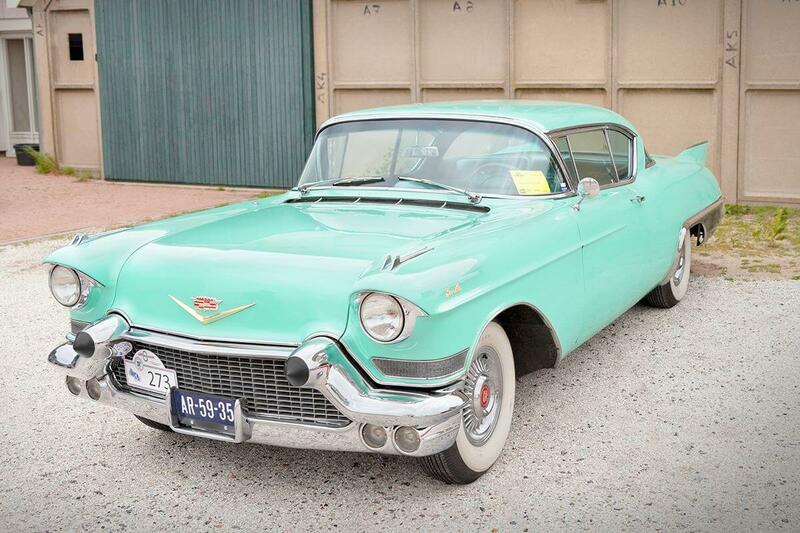 Originally a colour only offered on the 1958 Cadillac, Daphne Blue found its way into the Fender colour scheme in 1960. It first stayed only till 1965, but is now available again on a Fender, like many other colours from the Custom Colour era. 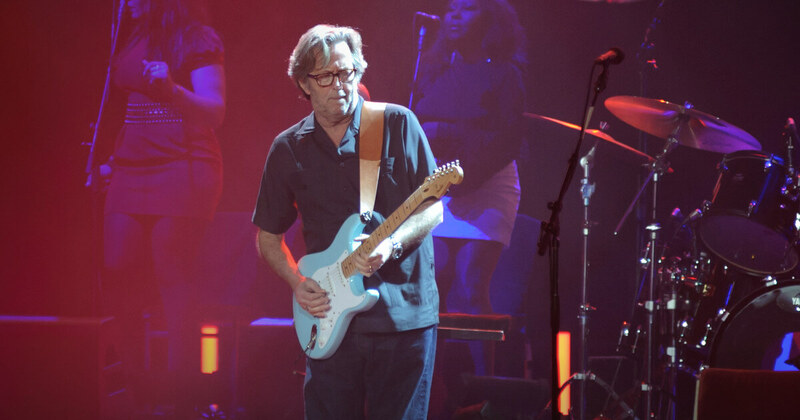 Here you can see Eric Clapton beautifully delivering I Shot The Sheriff on his Daphne Blue Stratocaster. This Limited Edition NAMM ’69 Heavy Relic Stratocaster was hand built for Winter NAMM 2017, featuring a select alder body with heavy relic aged Fire Mist over a Pink Paisley finish peeking through the surface seductively. One from the rarer collections, Burgundy Mist was originally used on the 1959 Oldsmobile, finding its way to Fender shortly after in 1960. Like the Daphne Blue, it was only offered as a Fender custom colour until 1965, though we’re witnessing its reemergence. 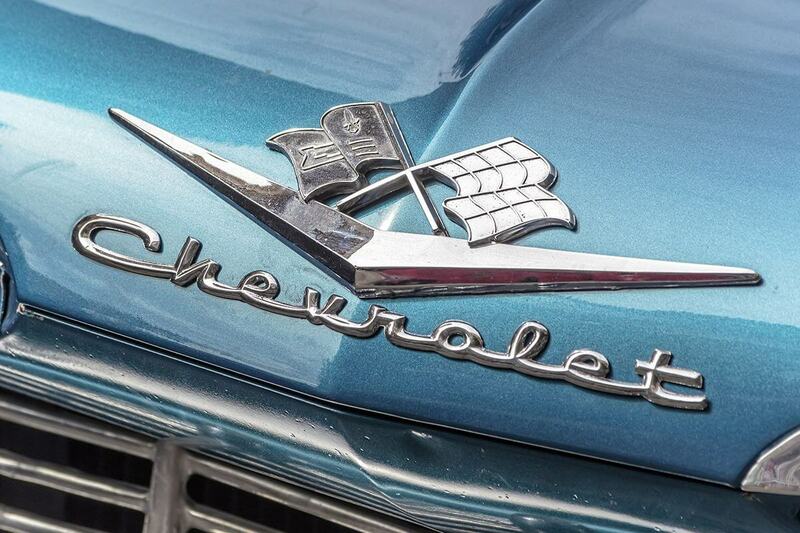 You may remember Surf Green from the ‘56 Chevy, from way back when. Its resurgence was helped by the likes of Blink 182 rocking the colour in live performances, but still remains an awfully shy finish. 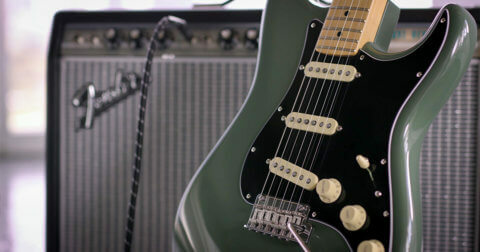 An all-time favourite amongst the Fender fanbase, the strat’s sultry body contours allow for the Lake Placid Blue to switch between a medium blue metallic to a dark navy solid depending on ones viewing angle. Another one originally for the Cadillac in 1958, Dakota Red quickly took its place in Fender’s line of colours. When the wood of the Fender is primed, the colour will completely opaque the grain to give you the reddest of Fender colours. The unageing Eric Johnson holds the Dakota Red finish above as he dazzles the audience with a showcase of licks and riffs. Today, you don’t have to ring up the Fender Custom Shop and pay a premium for a custom colour on your guitar. Fender has reissued almost all of these finishes on a wide range of guitars and basses. Find your colour or the custom finish that you identify with and tells your story with a host of options at Swee Lee’s flagship store at The Star Vista, or like we like to do, you could just browse and imagine away in our online store.